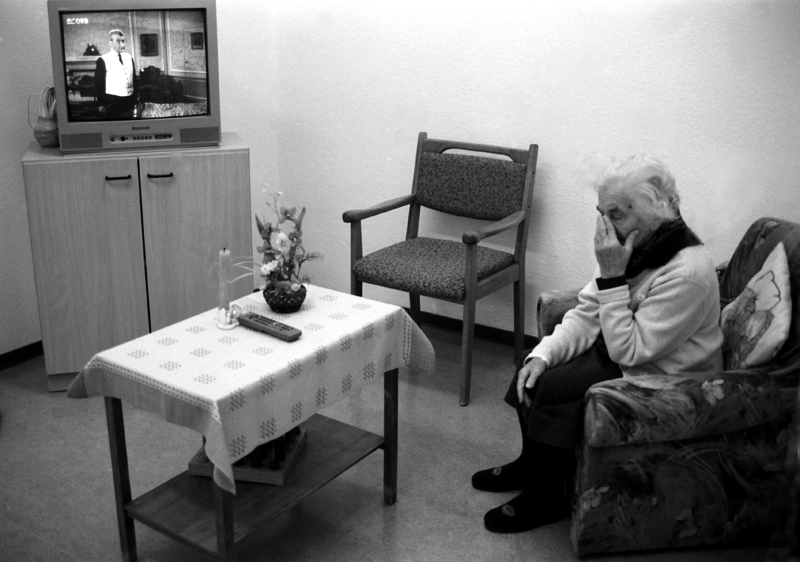 It’s a shocking statistic, especially for the increasing number of Americans charged with caring for elderly parents: At least one out of every three nursing home residents is harmed by the treatment they receive while in a home’s care, according to a government study. And most of this harm is preventable. When these nightmare scenarios happen, the only recourse most victims and their families have is to file a lawsuit. One need only search “nursing home jury verdict” online to find examples of heart-wrenching neglect and the subsequent judgments in those cases: failing to respond to an 87-year-old woman’s calls for help, after which she fell and broke her hip ($4 million verdict); failing to protect an 81-year-old man from being viciously beaten by a roommate who’d been involved in 30 assaults prior to moving in with the victim ($160 million); letting a 90-year-old woman languish with a festering pressure sore, acute appendicitis, and a urinary tract infection so severe it had entered her blood ($14 million); injecting a diabetic patient with the incorrect dose of insulin, sending them into hypoglycemic shock and causing brain damage ($1.05 million); and failure to treat a patient’s infection which then turned gangrenous, requiring portions of a bone to be removed ($20 million). While no amount of money can undo these injustices, jury verdicts and settlements like these send a powerful message: if someone gets hurt because a facility hired a known predator or cut staffing levels, that facility will pay. By making it more expensive to allow abuse than to prevent it, lawsuits can change corporate behavior—and make nursing homes safer. Now, however, a group of Republican lawmakers wants to hand the nursing home industry a get-out-of-jail free card, in the form of HR 1215. The bill, which is deceptively titled the “Protecting Access to Care Act of 2017,” would cap the amount of “non-economic” damages a victim could obtain from a nursing home in a lawsuit at just $250,000 per case, no matter how many victims were hurt or how many people (or corporations) are responsible. Unlike economic damages, which reimburse the victim for money lost due to things like medical bills and lost wages, non-economic damages are supposed to compensate you for other harms, such as physical and emotional pain and disfigurement. The proposed law comes on the heels of a lawsuit brought by the nursing home industry which blocked a federal agency from protecting residents’ rights to sue nursing homes. But HR 1215 wouldn’t just cap damages in cases of neglect. It would let nursing homes get away with a slap on the wrist even when they’re responsible for intentional acts such as sexual assault. A recent CNN investigation shows these crimes are much more common than was previously thought. The stories are terrifying: elderly women raped in the middle of the night by the person they relied on to bathe them and assist them with using the toilet. Custodians who removed catheters, adult diapers, and feeding tubes to gain access to incapacitated patients. Women whose disabilities made it impossible for them to physically fight off their attacker, left with severe vaginal tears or discovered choking after being sodomized. Aides who filmed a man with cerebral palsy while they paraded him around naked, and forced a paralyzed man to eat feces out of an adult diaper. Most of the facilities profiled by CNN are still in business today. And because cases like this can be hard to prove, many of the abusers have never been held responsible. Nursing home managers aren’t just innocent bystanders. It’s their responsibility to conduct background checks on the people they put in charge of caring for our family members. But too often, managers ignored complaints from multiple female residents, refusing to take action to stop the abuse. And some managers even destroyed evidence by washing sheets and bathing residents in an attempt to avoid accountability. Capping damages at just $250,000 in these cases would be a big mistake. It would send the message that even the most severe abuses are not really a big deal. The nursing home business is a $130 billion industry. It pulls in over $10 billion in profit annually and pays its executives millions in annual compensation and bonuses. The vast majority of nursing homes—70%, according to the Centers for Disease Control and Prevention—are run by for-profit corporations, and an increasing number of homes are being snapped up by Wall Street investment firms. Money is the only language these guys speak—and a quarter of a million dollars is pocket change for them. Passing this law would encourage more abuse. We already know that when nursing homes are able to reduce the amount they pay victims, more residents die and suffer. A New York Times investigation of the for-profit nursing home industry revealed that when private investment firms bought nursing homes in Florida, they quickly did two things. First, they reduced expenses by cutting the number of nurses on staff, slashing nursing supply budgets, cancelling activities for residents and other services, and increasing occupancy rates. And second, the investors set up a web of shell companies designed to insulate them from liability by making it impossible to figure out who was actually running the facilities. Within just a few years, 15 people in one Florida home died as a result of negligent care, and many others suffered. And in another case, one investment company’s response to wrongful death and abuse lawsuits was to claim it was not a nursing home operator and thus not legally responsible for what happens to residents. If HR 1215 passes, there will be nothing to stop nursing homes from continuing to put their own profits ahead of patient safety and care. Let’s hope Congress recognizes that some things are more important than nursing home industry lobbyists’ money. Our vulnerable loved ones deserve better.